Nutrition influences a child's development, lifelong health status, and potential for learning. Indianola Community Schools achieves these goals by providing students with nutritious and appetizing meals served courteously, in a sanitary and pleasant dining environment. Indianola CSD Food Service Department takes pride in preparing and serving high quality nutritious meals to our students. The meals feature 100% whole grains, fresh fruits and vegetables daily. 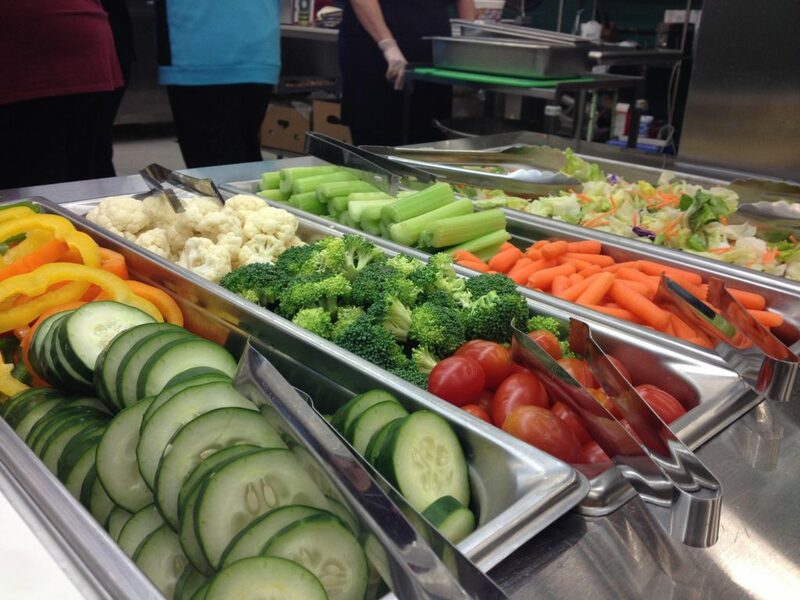 The high school and middle school staff prepare a variety of meal options daily which include a self- serve salad bar that includes five fresh fruits and eight fresh vegetables. The Food Service Department participates in a summer food service program that allows us to have a direct impact on our community. All students age 3 to 18 are eligible for free breakfast and lunch during the summer months.